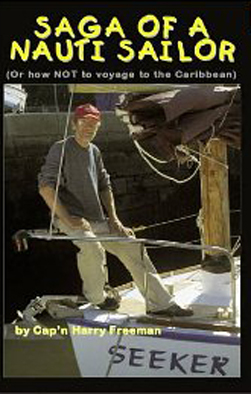 Looking forward to Harry Freeman’s book launch of “Saga of a Nauti Sailor” at St John’s Church, St Johns, Woking, on Wednesday 13 March at 7.30pm. All proceeds from the book will go towards the Good Samaritan Foundation of Haiti, raising funds for a new school on a small island off Haiti. There will be a documentary film about the charity on the night, as well as pictures of Harry’s yachts from his sailing adventures.